All homes currently listed for sale in the zip code 91618 as of 04/19/2019 are shown below. You can change the search criteria at any time by pressing the 'Change Search' button below. 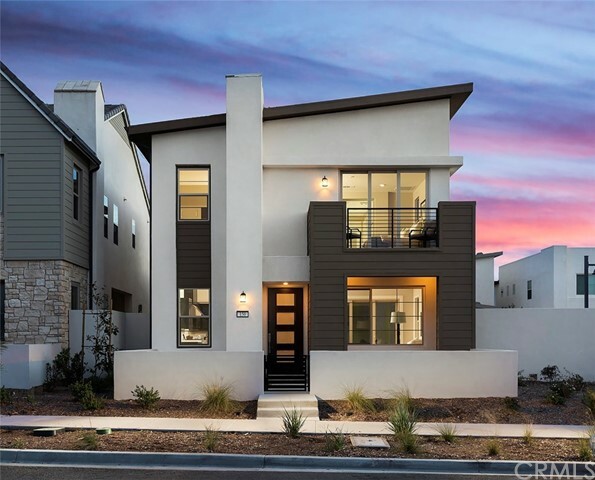 "Welcome home to 150 Scale, pristinely situated within Cadence Park located at the Great Park, this Plan 1 Adagio shows just like a model and offers arguably the best lot in the tract. As you enter through the front courtyard, you re greeted by an oversized patio area with ample room for entertaining and relaxing alike. As you pass through the front door, a great room awaits offering an open-concept layout centered around your outdoor living space, accessed through massive dual sliders. The family style great room offers a chef s kitchen with top-of-the-line appliances, eat-up kitchen island with room for barstools, adjacent dining room and substantial family room with direct access to the spacious patio area ideal for outdoor dining, relaxing or entertaining. A large outdoor yard area awaits your design inspirations and is perfect for gatherings and social events as well as that pet you ve always dreamed of! A spacious bedroom and graciously appointed bathroom with shower is located downstairs perfect for guests or family. A designer master-suite offers a large bedroom with private balcony and large master bath with dual vanities, soaking tub, rain shower and large walk-in closet. An additional bedroom is located upstairs along with an additional bathroom with tub/shower combination. Located within walking distance to the new Cadence Park K-8 school in addition to community amenities including parks, pools and much more! Additional assigned parking lot space is included."